Leftovers have such a bad connotation. Who wants to eat the same old thing that you just had the other day? That’s a recipe for BORING! But rather than see leftover food as just another rerun, see it as an opportunity to turn it into something completely new and delicious! 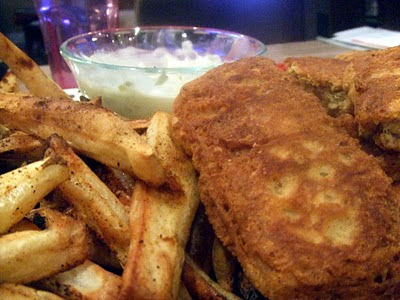 For instance, my recipe for Tempeh “Fish” N’Chips is incredibly delicious but if you follow the recipe exactly and you don’t have at least 4 people to feed, you are going to end up with lots of leftovers. And while it would be just as delicious the next day, why not take it to another level? By simply making a quick cabbage slaw and adding a few ingredients, you can bite into the most amazing Po’ Boy sandwich ever! I’m sure you’re wondering where the name “ווען’ יינגל” comes from (and if you’re not, don’t worry. I’ll keep it short). אין 1929 there was a huge transit strike in New Orleans. The owners of Martin Brothers’ Coffee Stand and Restaurant, Bennie and Clovis Martin, were former streetcar conductors and railway union members. Sympathetic to the plight of the strikers, the Martin Brothers offered free meals to them for as long as the strike lasted. They made huge sandwiches and Bennie Martin said, “We fed those men free of charge until the strike ended. Whenever we saw one of the striking men coming, one of us would say, ‘Here comes another poor boy.” By the start of the Great Depression, the strike was lost but the generosity of the Martin Brothers and their signature Po’ Boy sandwich lived on. What goes better with the spirit of generosity than compassion? 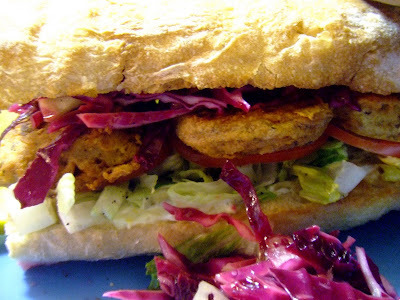 So here is my Vegan version of the classic sandwich. 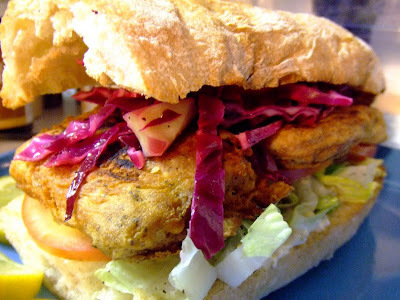 Using the leftover tempeh “פיש” and tartar sauce from the אָריגינעל רעצעפּט, I toasted garlic hero rolls, made a vinegar-based red cabbage slaw, and added some romaine lettuce and beefsteak tomatoes. 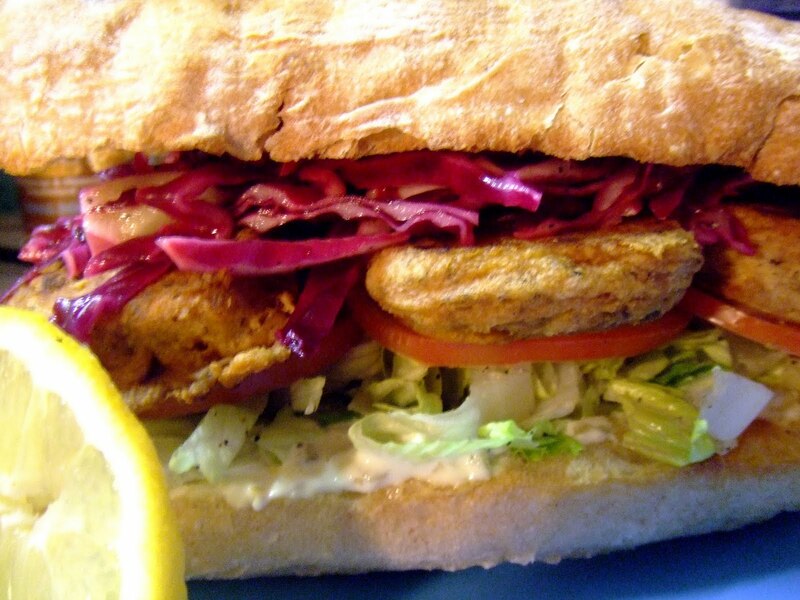 The result is a Po’ Boy Sandwich that is so decadent you’ll never look at leftovers the same way again. Make the cabbage slaw in advance so the vinegar has time to break down the cabbage and soften it a bit. Combine sweetener, עסיק, ייל, salt and pepper in a bowl and whisk well. 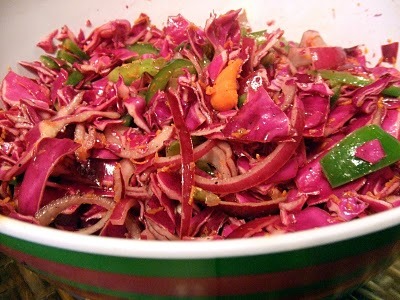 Toss the cabbage in the dressing and let sit at least 30 minutes or until the cabbage has softened a bit. Slice the rolls open. Pull out the insides of the bread to make more room for the other ingredients. Rub the insides of the rolls with a cut garlic clove (or sprinkle some garlic powder on them) and drizzle with oil. Toast to your desired level of crispiness. When done, spread some tartar sauce on the bottom layer of the hero roll. Put a few pieces of tempeh “fish” on top of the tartar sauce. Add a layer of lettuce and tomato. 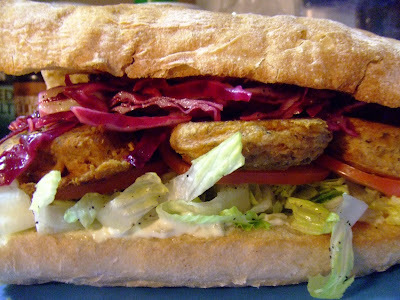 Top with the cabbage slaw and the top half of the hero roll. דינען מיט לימענע סלייסאַז, אויב געוואלט. Variations: add whatever toppings you like such as hot or sweet peppers. האַנאָע האָבן! 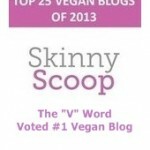 And Happy 2nd Birthday to The “V” וואָרט! !